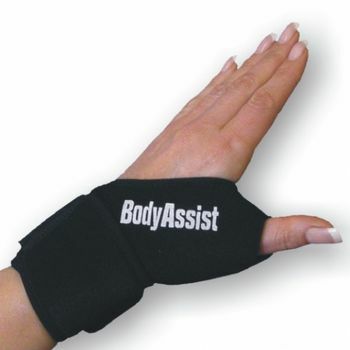 Designed to stabilise & assist healing of the thumb joint, wrist & associated soft tissue. Adjustable closure & one size fitting allows for a perfect fit. For various soft tissue inflammation conditions caused by repetitive strain. Ideal for racquet & bat sports, gardeners, machinists, construction workers, craft hobbyist,office staff. Suits men or women. Washable & hygienic. SUPPORT RATING - INTERMEDIATE One Size Fits Most.